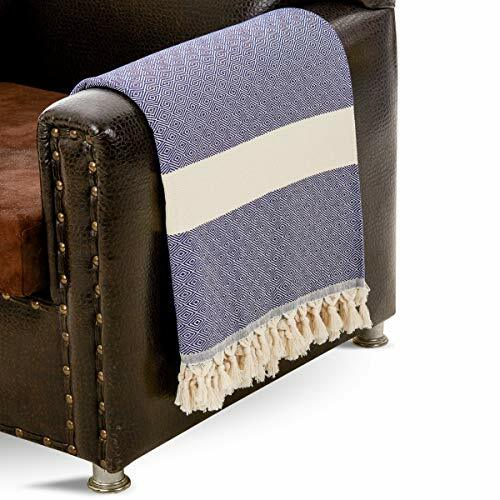 Cozy up in your favorite corner of the couch or sofa with a soft, natural, premium cotton throw blanket from Lushrobe. 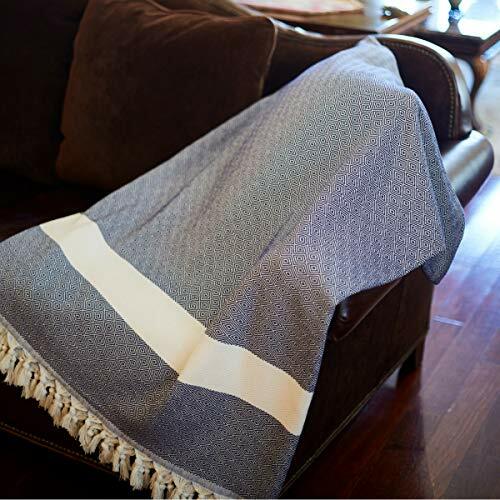 This multi-purpose all-season throw is great for bedding, movie nights, picnics, long road trips, or for those cool nights by the patio, poolside, staying toasty by a bonfire on the beach or in your backyard, or as a decorative piece in your living room. 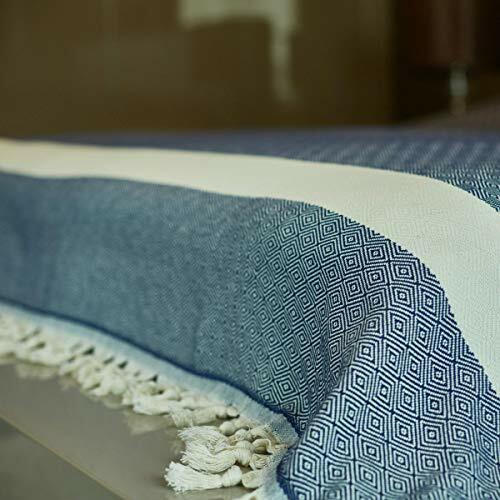 The loosely woven weaving of this item makes the blanket breathable where the elements are kept from coming inside the blanket while still insulating body heat. Choose from an array of colors and style patterns. Lushrobe blankets are made of 100% Natural Premium Turkish cotton and washer/dryer safe, but we recommend that you wash on the delicate wash setting. We offer 100% satisfaction in our products. We willl refund your product or send a brand new replacement item if you have any issues, no questions asked. 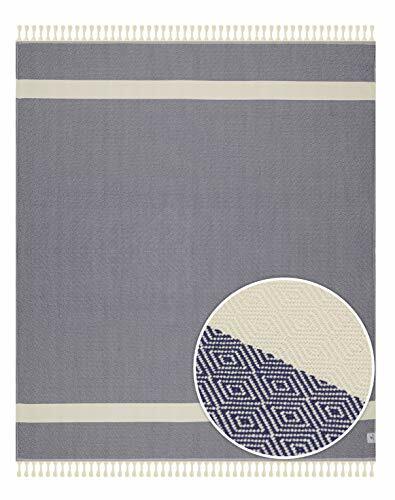 PREMIUM ULTRA SOFT FABRIC – is woven with the finest cotton (OEKO-TEX Certified) from the Mediterranean and is designed with twisted handmade fringes for an added flair of design. 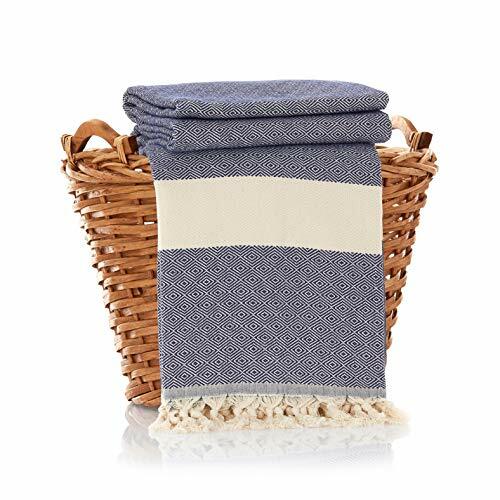 MACHINE WASHABLE – Made from the finest natural Turkish cotton throw blanket is machine washable. Please follow the instructions. INDOOR or OUTDOOR USE – Use as a blanket, a cushion for movie nights to cuddle in your favorite couch or sofa or for the beach, parks, or picnics. It is also double sided and sturdy. This will last you for years. LUXURY PREMIUM WHITE PACKAGING – that is to surely impress you or your loved one. This makes GREAT AND IMPRESSIVE GIFT.